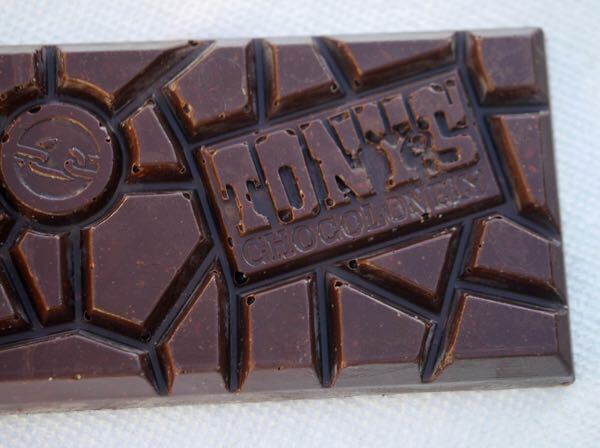 Welcome to Day #16 of Chocolate and Africa Theme Weeks. 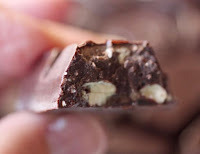 We've been sampling chocolates made from cacao grown in several African nations this month. Our last stop this week is in West Africa. "West Africa" is made up of 18 countries, most of which were former European colonies that gained independence in 1960. Many years ago, the French and other Europeans brought cacao from the New World, and other crops, to grow in West Africa. And today, two countries, Ivory Coast and Ghana, together supply about half of the world's cacao. However, over the years there have been concerns about the use of slave labor in this region. 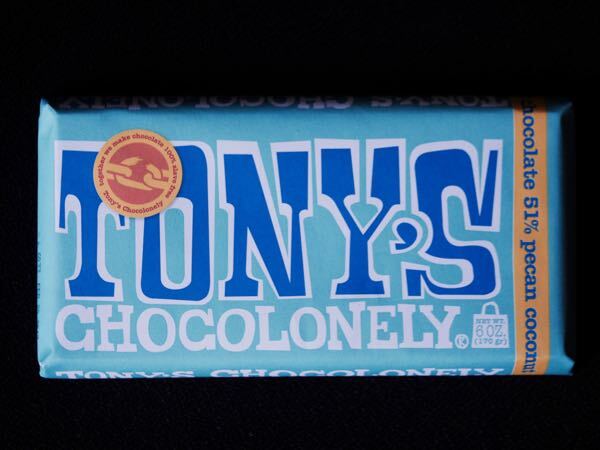 Today's Dark Chocolate 51% Pecan Coconut bar was produced by Tony's Chocolonely (Amsterdam, The Netherlands), and made in Belgium. The company's mission is targeted at increasing awareness about and helping to prevent slavery and human trafficking in Ivory Coast and Ghana. And, oh yes, to produce good-tasting chocolate. 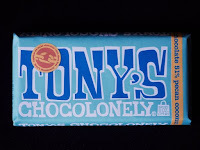 It may be my imagination, but I believe this large bar actually tasted better, "happier," than other chocolates made from West African cacao. The bar had a bright, true chocolate flavor (brownies with pecans), and was quite good. The coconut was subtle and added an upbeat, sweet note.